Oakland’s City Auditor is an elected official and works for, and reports to, the residents of Oakland. The Auditor’s job is to provide oversight to the City’s activities. Nothing is off limits; the Auditor has the authority to access City financial and administrative records, plus the policies and procedures of all City agencies and departments. 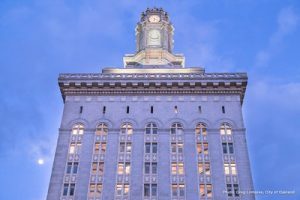 To make sure this work is done objectively and without bias, the City Auditor is not connected to any other City department and has no day-to-day financial or accounting duties for the City of Oakland. This autonomy allows for independent analyses, ensuring tax dollars and other resources serve the public interest. Upon completion of an audit project, a report with the results of the investigation is made public and available on the Reports page. The City Auditor also oversees the Whistleblower Hotline – a confidential hotline for reporting complaints from City employees and residents about fraud, waste, and abuse in the City of Oakland. For more detailed information about the duties and responsibilities of the City Auditor, please see the Oakland City Charter. The Office of the City Auditor adheres to the Generally Accepted Government Auditing Standards (GAGAS) ensuring the consistent application of audit methodology across the profession. GAGAS requires audit organizations receive an external peer review at least once every three years to monitor a department’s conformance to standards. Read more about GAGAS here. One of our goals is to help City leaders maximize public resources to benefit Oakland residents. Performance audits examine the accuracy and effectiveness of City Department programs and operations, provide recommendations for corrective action, as well as acknowledgments when processes are in good order. Auditing is our contribution to creating a transparent and effective city government, accountable to the taxpayers and residents. The Whistleblower Program, is a confidential hotline for reporting fraud, waste, and abuse in Oakland’s City government. The City Auditor manages this program and thoroughly investigates all allegations reported through the hotline. All complaints are then referred to the appropriate authorities for resolution. Confidentiality is key to a trusted program, and this office takes every measure to preserve it. Ballot Measures reports are an impartial analysis of all ballot measures to inform constituents of the financial impact of proposed voter-approved legislation.